Pro Systems AV | Pro Systems is the solution for everything in audio visual and event production services. 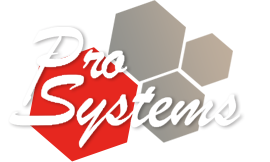 Based in San Diego, California, Pro Systems was founded by Brad Donaldson. Pro Systems is a leader in audio-visual and event production services for 27 years. Check out some of our artists, clients, events and venues. Pro Systems provides audio visual installations and service to all types of venues and buildings. We have extensive installation experience in nightclubs, bars, restaurants, corporate offices, churches and schools. We stock the latest and greatest in audio, video, and lighting equipment. Call us for all of your rental needs. Pro Systems is a one stop shop for all of your production needs. Specializing in live events for audiences of all sizes, we do it all. Give us a call today to discuss your next event. See what people are saying about Pro Systems. Read Articles, View Videos and Testimonials from the industry and our clients. Our staff is made up of the best people in the business and together we have over 100 combined years of experience in all facets of the industry. Meet our management team and technicians who are ready to work for you.